In a previous article, we covered some of the changes that will be coming to social media marketing in 2017. While top outlets such as Facebook and Instagram are showing rapid growth in both registered users and active daily usage numbers, not all social networks are showing positive growth. Twitter has been in a particularly tight spot ever since Salesforce backed out as a potential buyer. There have been some interesting changes being introduced across the platform; some, granted, being more popular than the others. What does this mean for brands and content creators? Is Twitter still a social media platform to use? Following the recent trends of live video broadcasts, Twitter has finally made the move to enable Twitter users to broadcast live videos directly from native Twitter apps. There is no need to download a separate Periscope app or sign up for another account. Everything can now be done straight from the main user interface of Twitter, just like composing a normal tweet. Videos will be a big part of Twitter in 2017, which makes the platform still appealing to brands and content creators. On-the-moment videos are already very popular among Twitter users and it will only get bigger. Twitter is also actively engaging in broadcast partnerships with big news outlets and sports organizations. NFL is among the latest to join the excitement, allowing NFL fans to follow live matches and updates without having to change apps. In a recent introduction video, Marques Brownlee – a famous tech YouTuber known as MKBHD – introduced the new Twitter Studio platform, a platform which allows content creators (and brands) to produce and post high quality video contents for Twitter. What’s interesting about this new tool is the fact that Twitter now let’s creators monetize their video content. Through a good profit sharing scheme and an already mature platform, Twitter may be setting itself up to be the next big thing in content sharing with Twitter Studio. Brands will definitely find the new stream of video content interesting, as it is an opportunity for product placement, while content creators will feel more encouraged by the profit sharing option. There is no doubt that Twitter is playing an important role in spreading some of the most important news from across the globe. Everyone can share the latest updates directly from scenes of big events. 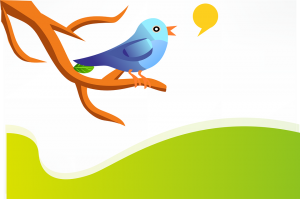 “Twitter is what’s happening, and what everyone is talking about (literally!). News and talk. We’re the people’s news network,” says Jack Dorsey, the social network’s CEO and founder, in a message sent to Twitter employees. This message alone makes it clear that Twitter intends to stay at the leading edge of world updates. Will the platform survive? Is it still a platform for brands to explore? The answer to both these questions is one big YES. Twitter is offering a chance for brands and companies to interact with users directly and be part of the latest updates in real-time. There is no doubt that the platform will still be interesting to use in 2017.